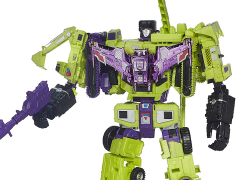 This version of Titan Class Devastator features high-quality paint applications, vacuum metallized purple parts, and a new visor-less head sculpt. 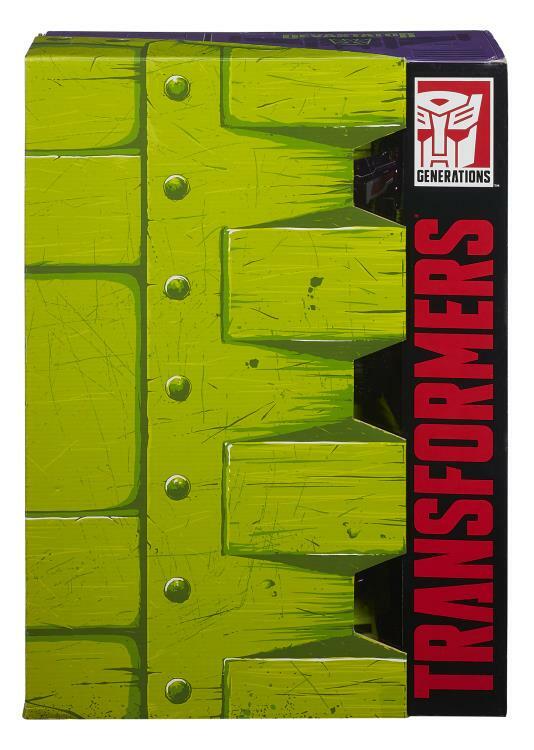 The packaging is designed to look like Bonecrusher's shovel and Devastator's head! 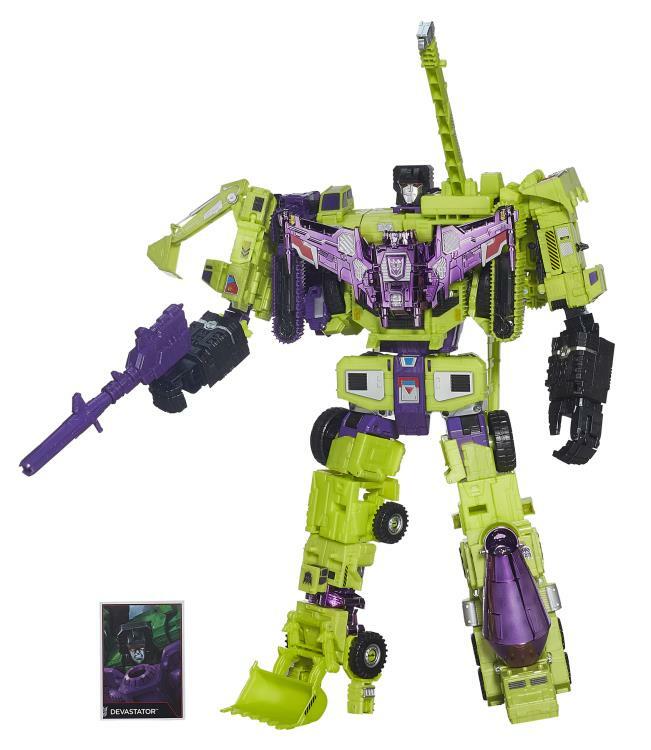 Voyager Class Hook forms the upper body, Scrapper forms the right leg, Bonecrusher forms the left arm, Long Haul forms the lower body, Mixmaster forms the left leg, and Scavenger forms the right arm. 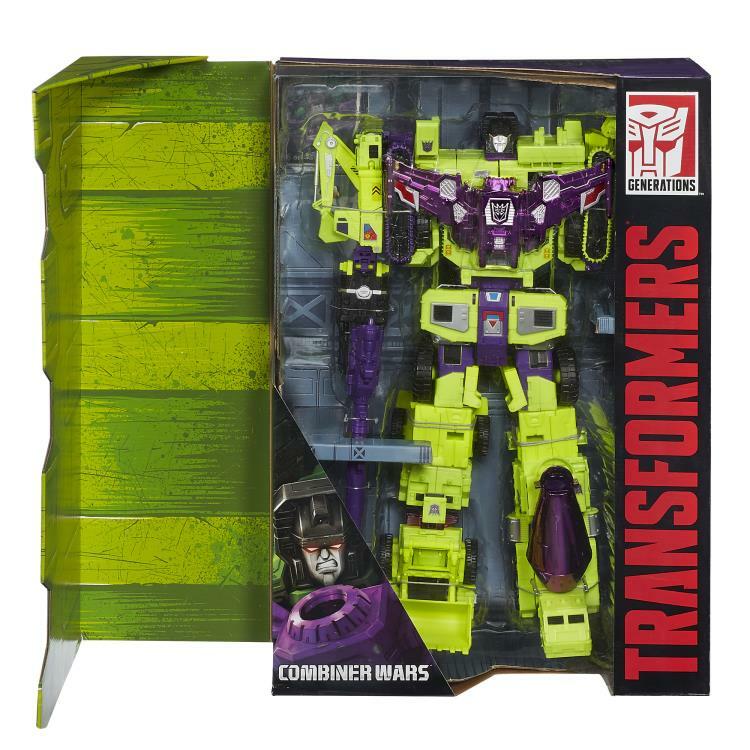 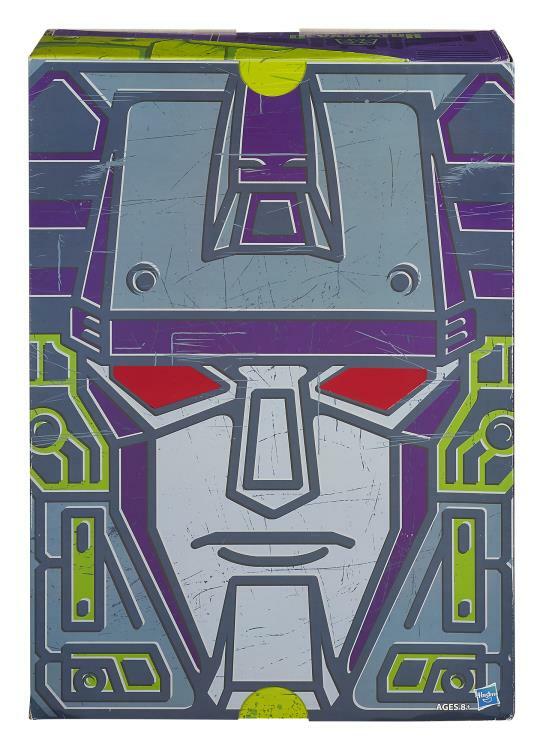 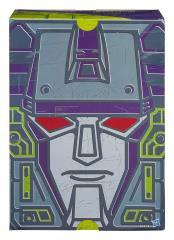 Each combine to create SDCC Exclusive Devastator!